Join Local U for the latest public episode of Last Week in Local, a weekly conversation about the articles that attracted our attention during the past week ending May 22nd, 2017. This week featuring Mary Bowling and Mike Blumenthal. This year we will be publishing our Last Week in Local video directly to the Local U blog. 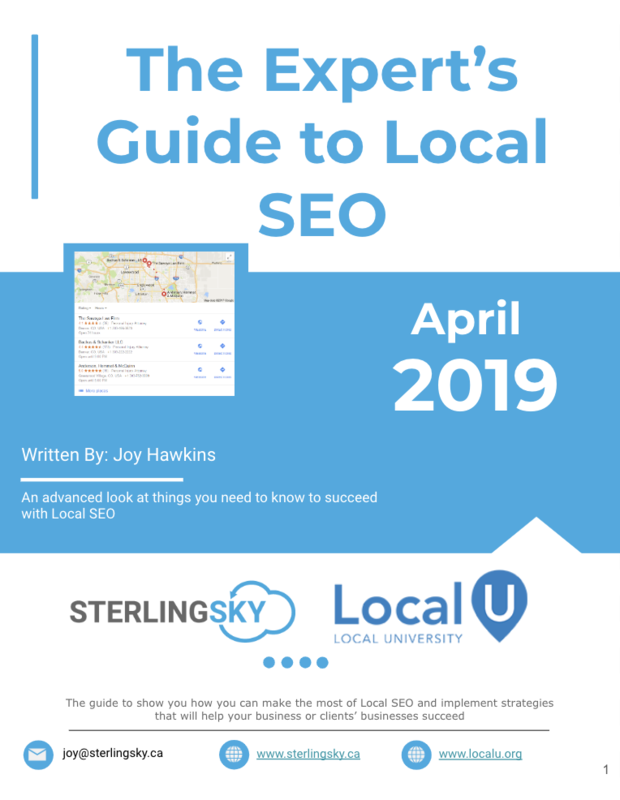 It will be published every Monday and will include discussions about the events in the last week -- strategic and tactical -- that affect Local SEO & marketing. If you have a special topic you would like us to discuss for our other weekly feature, the Deep Dive in Local, or if you would like to be on one or the other of our segments, reach outand send us the topic and your availability. If you are interested in sponsoring this weekly show also please let us know. Let us know what you think. 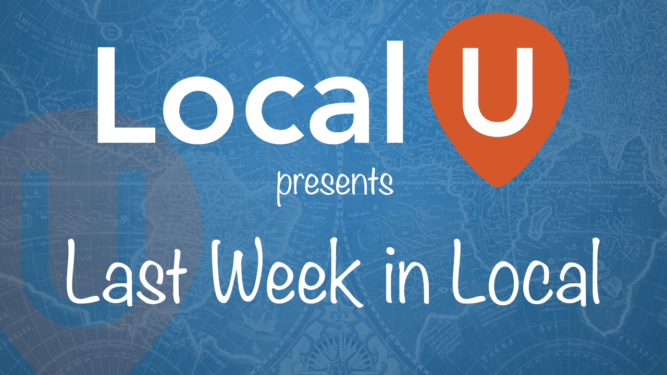 Welcome to Last Week in Local! Our weekly discussions are also now available as a podcast as well. New machine learning-powered methods enable marketers to model the relative contribution of disparate advertising efforts. This is a much more informative method of evaluation. In the real world, video ads, banner ads, emails and other materials all work in consonance to drive conversions — it doesn’t make sense for the final social media ad to get all the credit. 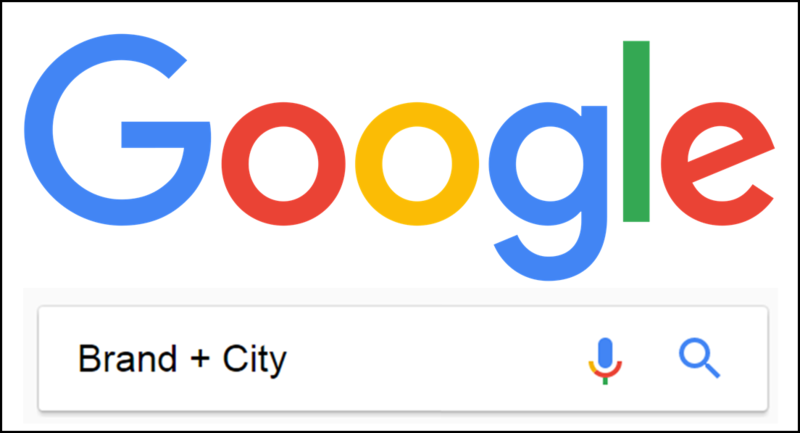 Google has begun using billions of credit-card transaction records to prove that its online ads are prompting people to make purchases – even when they happen offline in brick-and-mortar stores, the company said Tuesday. "Our purpose is to expose businesses that are faking reviews in an attempt to hide real negative reviews. Oue mission is to find, idnentify and expose business that are lying to the general public and taking advantage of consumers." You can email info@reviewfraud.org with your own examples. Rankings and trust are among them and he concludes that "the value of websites has not diminished"
Indicates that Google probably has a base of authoritative sites on particular topics and prefers to return results from authoritative sites. " This means that Google will be more likely to return high quality sites at the top of search results, rather than results from sites that might not be seen as authoritative sites." Discussion at Local Search Pros Google+ Group on how to get answer boxes. See the tips and resources people suggest. Very limited test of adding buy now buttons to Ads, it's something Amazon already does. You must request access. Hotels are reclaiming both the proft and the client relationships. MarketingBitz | Blogs | Word of Mouth Marketing: A Great Summer Challenge! Guys, thanks so much for the link. I really appreciate it 🙂 I wanted to note, even with my volume tuned up all the way on this one, I was having a bit of trouble hearing the discussion. It seems a bit quiet. Don’t want to miss a word!